Dudjom Throemai Tshogbum Chhenmo was initiated in the year 2007 by Dungse Garab Rinpoche from the lineage of the Dudjom New Treasure, Nyingmapa. This project responds to the needs of all by reciting 100,000 times of dakini merits accumulation prayers from the Krodikali's medium version. 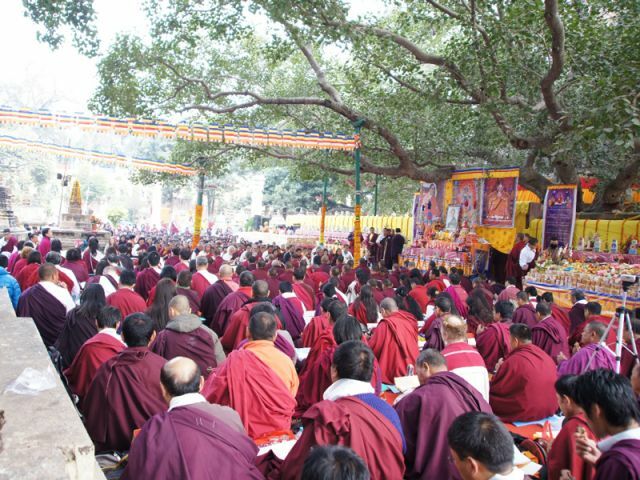 Dudjom Throemai Tshogbum Chhenmo is organized by the Organising Committee of the Dudjom Throemai Tshogbum Chhenmo is leading by the most compassionate Vajra Master, Dungse Garab Rinpoche together with the disciples of the Dudjom New Treasure lineage. Rinpoche has the vast noble intention in propagating Dudjom lineage and to bring benefits to all sentient beings through the practice of the krodikali particularly in Bodhgaya. This is Rinpoche's dream project and let us all treasure this project together and pray extensively to reach this one goal together with rinpoche. copyright © 2019 Dungsey Garab Rinpoche. All Rights Reserved. Designed by OZCHAMP.